So it's been a couple weeks, how is the Zune selling? Is Microsoft on course to topple Apple's portable-audio regime? Are people unable to walk down the street without having fellow Zune-owners offering to share their songs? Uh… no. 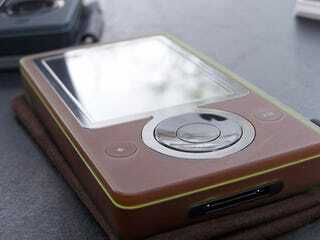 According to Amazon.com's MP3 player sales charts, the Zune is their 18th most popular portable music player. Ahead of it, unsurprisingly, are 12 varieties of iPod (including the top 5 spots). A bit more surprising is the fact that also selling better than the Zune are three flavors of SanDisk Sansas and the Creative Zen Vision: M. Looks like the social isn't all that social just yet.